If you are running a WordPress website that has more than a dozen users, you have probably at some point wondered if there is a better way to manage and organize your WordPress users. In this guide our goal is to put together an advanced user management guide, with tools and tips on how to improve your WordPress user management and organization. When it comes to content creation and custom data management, WordPress is definitely one of the best tools around. Not only it has some in-built features to store custom data, but it also allows plugins to easily extend this. This enables a lot of creative uses when it comes to managing your registered WordPress users. After reading this guide you should be able to collect and manipulate your user data. We’ll cover user filtering and segmentation. Also, you’ll fully understand how to register, import and export users. Then we’ll understand how to add custom fields and custom data to your users. There will be tips about user communication and activity as well. You probably already have a lot of data about your WordPress users on your website. Whether this is data by 3rd party plugins or custom user fields with your own custom code, being able to use this data out of the box and not having to start from scratch can be a huge advantage. Users Insights provides many ways to filter and segment your users by their data. 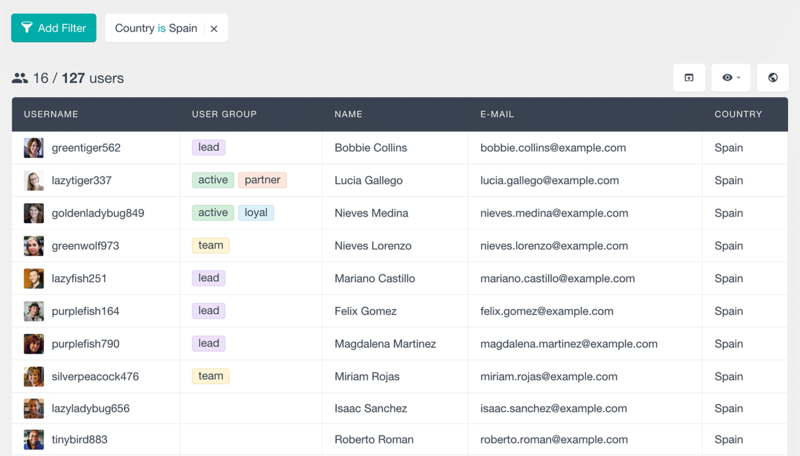 With the smart filters of Users Insights, you can segment users by any of their custom fields, including the ones from external plugins. The user list you’ve searched for can be exported by clicking on the export icon. You can add as many filters as you want to on top of the others, and you can include or exclude columns to have a better overview of your data. Each filter type and data type has its own options. We have them all detailed in our WordPress Smart Filters guide. The user groups are an easy way to tag your customers according to certain conditions. 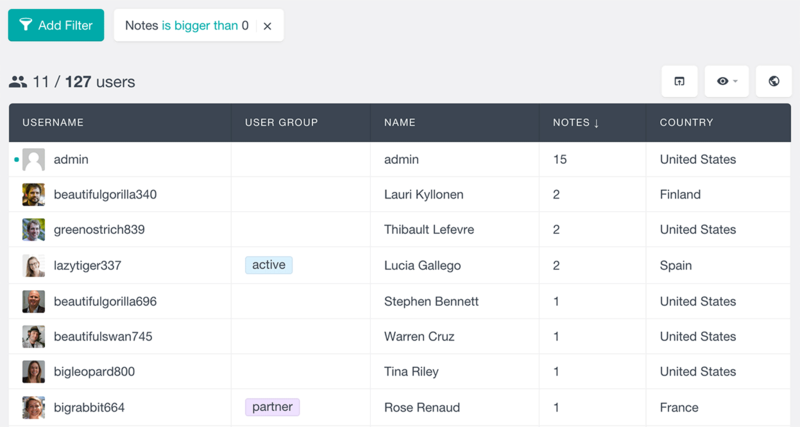 You can add them to groups and create your own user directory so you can easily organize your users based on different properties. For example, a group for all your leads is a good idea in case you want to touch base with them. The same goes for repeat buyers, should you want to reward them for buying multiple times. 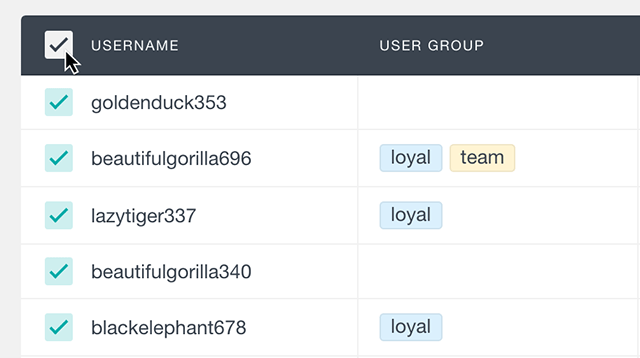 The user groups can be created inside of Users Insights and you can assign them to each of your users by clicking on their avatar. 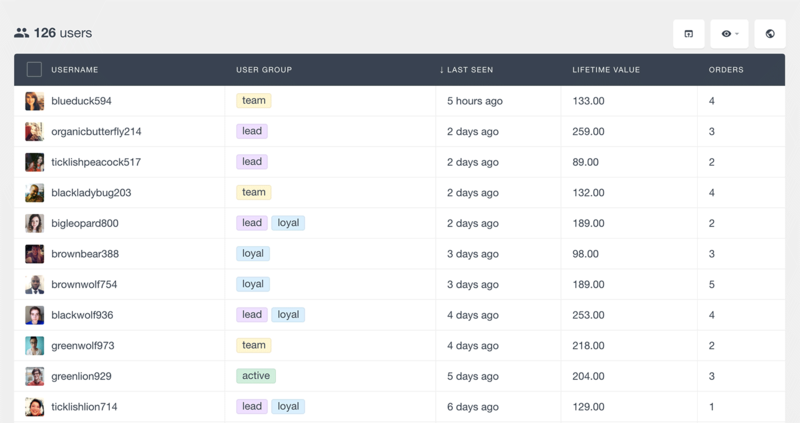 It’s also possible to do bulk user management by assigning multiple users to a group. You can read more about bulk user management and organization in our Using Bulk Actions article. The custom user profiles of Users Insights are where you can see all the information about a particular user in a single place. 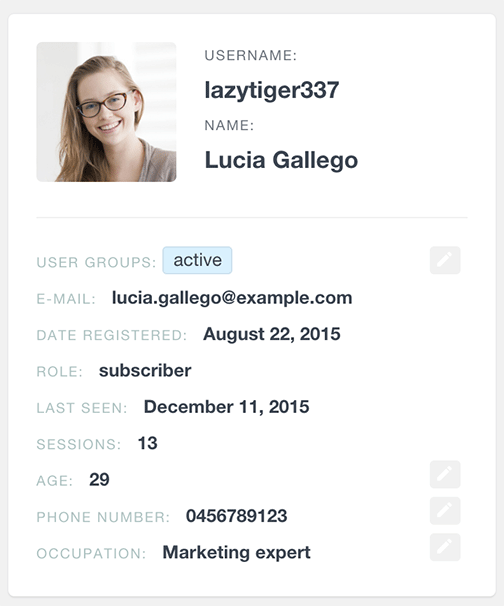 The custom user profiles give you a quick overview of all your user data. 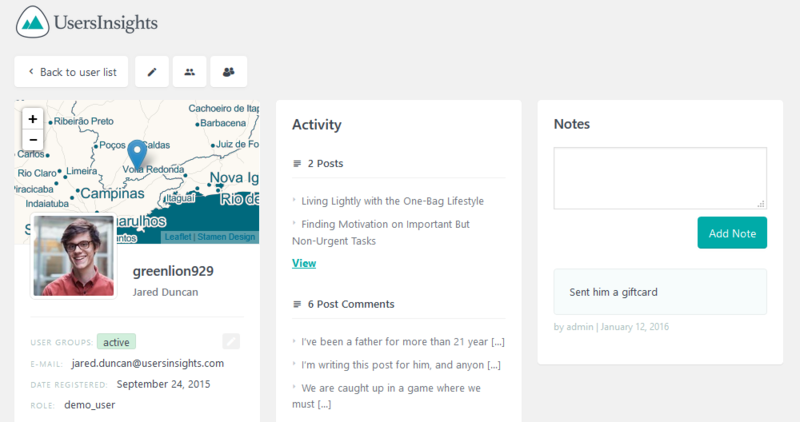 You can see the user location, activity, custom post types and notes. Our User Profile Pages guide shows how each of these sections work. All these sections are flexible, in special the activity panel which includes an overview of all Custom Post Types and content created by your users (including comments). This is particularly useful if you have plugins such as WooCommerce, LearnDash, Ultimate Member or any other where user information is stored in custom post types. The user notes can be used to communicate with your own team members. After they are added you can also retrieve the notes information in the user filters. You can read more about this feature in our User Notes article. Another important aspect of the user profile is the custom fields section. In that section of your page you can quickly see all the user’s custom fields and their values. It’s also possible to quickly update a custom field value in the User Profile. If you are interested there’s a lot more to learn about this feature in our Custom User Fields guide. Almost any plugin will store custom data for your users. But often freely manipulating and searching these fields isn’t possible. Users Insights has a feature to map existing user meta fields to custom fields. You can do that under Users Insights > Custom Fields, and with that you’ll see your fields in the user profile. Nonetheless this may not be enough to properly get the information you want. There are many different ways data is stored and rarely these fields are in a human readable format. Although it’s possible to convert user meta fields into a readable format, you don’t always need custom code. Additionally, Users Insights has integration modules for some of the most popular plugins, and each will automatically map and format the custom fields for that plugin in particular. Also some modules allow you new filtering methods for your users. WooCommerce – you can see number of orders, lifetime value, last order and number of reviews. You can also filter users based on some additional criteria, such as getting all users who bought a specific product. Ultimate Member – you’ll be able to search and filter through the member’s custom fields, interests and groups. BuddyPress – you can read add filter your user profile data, their groups, number of posts, number of groups, number of friends and more. Easy Digital Downloads – similarly to the WooCommerce module, the data such as the lifetime value, number of orders and last order date are all there as soon as you enable it. Gravity Forms – when used with the User Registration add-on, you can search users though their submitted data. LearnDash – you can see your user’s courses, course progress, quizzes and their LearnDash groups. WooCommerce Subscriptions – you can check your user’s subscriptions, the total amount of subscriptions and the status of these. bbPress – With this module it’s possible to check your users’ forums, topics created and replies posted. WooCommerce Memberships – you can check the membership status, number of memberships and their signup date. You can manage your users by their location, if you have the geolocation module active. The first option you have is the map view of any filters. You can click the “Enter Map View” button, so you’ll see a representation of your data in a map. The geolocation options aren’t limited to the map though. 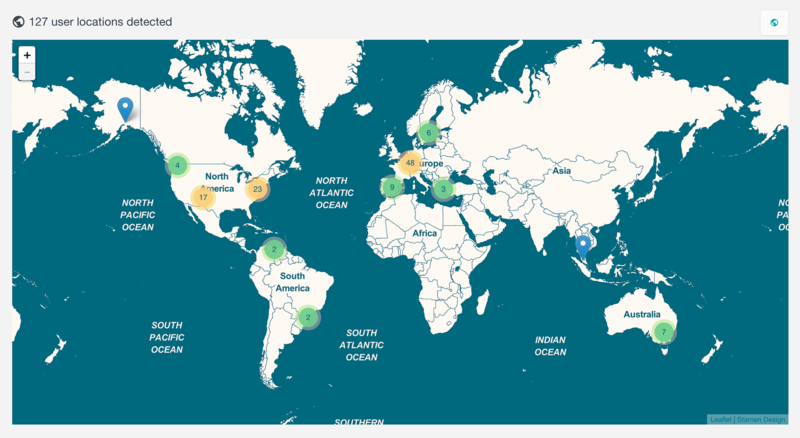 As you can see in our Geolocation guide, there are many ways that you can use location-based filters in your WordPress user management. One example is filtering all users from a region, such as New York. Sales management is a big part of user management. For a WooCommerce store you have out of the box integration with Users Insights. This means that you’ll have many filters and custom fields ready to use in order to better understand your customer base. You can see the most basic information, such as what we have in our WooCommerce User Data article. These include the number of orders, details about your user, last order date and number of reviews left. It’s also possible to retrieve users who bought a specific product, using the product filter. Another interesting metric to help you in your user management is the Customer Lifetime Value. This metric will add up all your revenue from past orders for the same client. You can read more about it in our How to find your customer lifetime value article, but in short you just need to enable the WooCommerce module for Users Insights and this metric will be there. 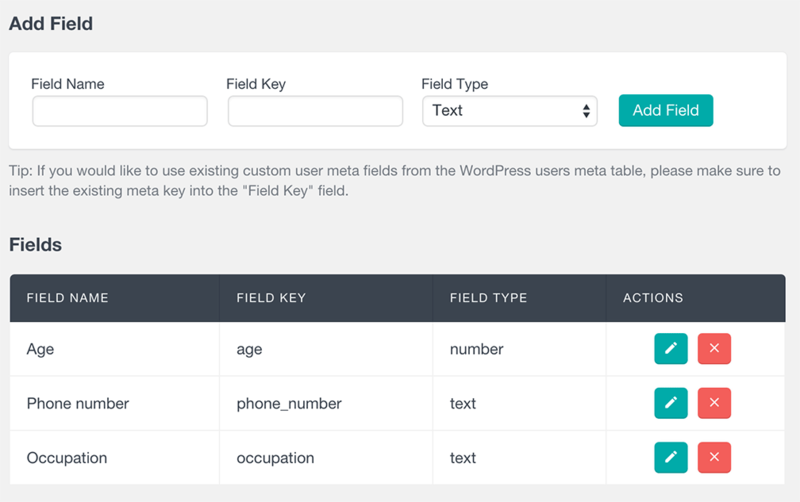 You could as well use custom fields to improve your WordPressa user management. As described in our How to add custom fields to your WooCommerce customers article, there are many benefits in using custom fields. You can add more information about your users, customize their profiles, segment users based on custom fields, share and import user data whenever you need it. WooCommerce is full of options and there are many other ways you can use it in combination with Users Insights in order to improve your Customer Relationship Management. We have a special guide for WooCommerce Customer Management Guide, in case you want to learn more. Another plugin that is used for e-Commerce management is the Easy Digital Downloads. Users Insights has an integration module for this plugin. With this module active you can quickly search though orders, order dates, total spent (lifetime value) and more. You can check all options in our Easy Digital Downloads article. Similarly to WooCommerce you can filter users who have bought a specific product, and by the order status. Another option for managing your users is by checking the content they have created. WordPress has posts and comments by default, but you can use this for any other type of custom post types as well. This is useful if you have user-generated content such as a forums system or a social network. The article How to filter WordPress users by content created explains the different filters that you can use. 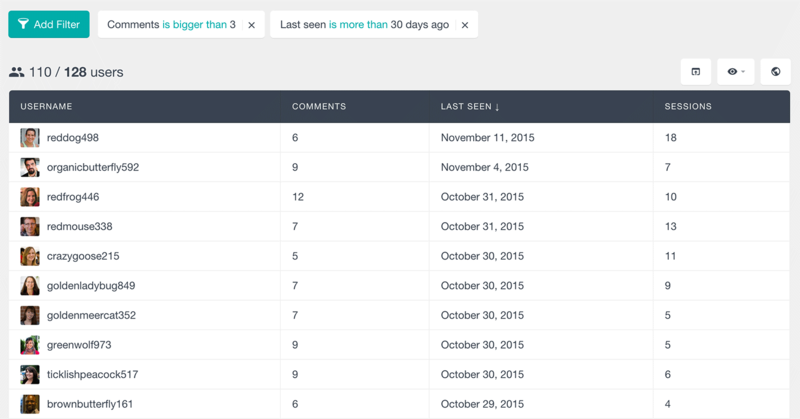 For instance, you could see all users with a comments count bigger than 3 and who have logged in last month. It’s possible to do the same not just for comments but for any Custom Post Types. You just need to enable them under Users Insights > Custom Post Types. Not all users are equal, and the user activity is yet another great way to see that. Sometimes you might have a lot of users, but this won’t matter much for you if most of them are inactive. This also may obfuscate your overall understanding of your business. That’s why we will recommend you 3 different guides to help you measure these factors in your user base. 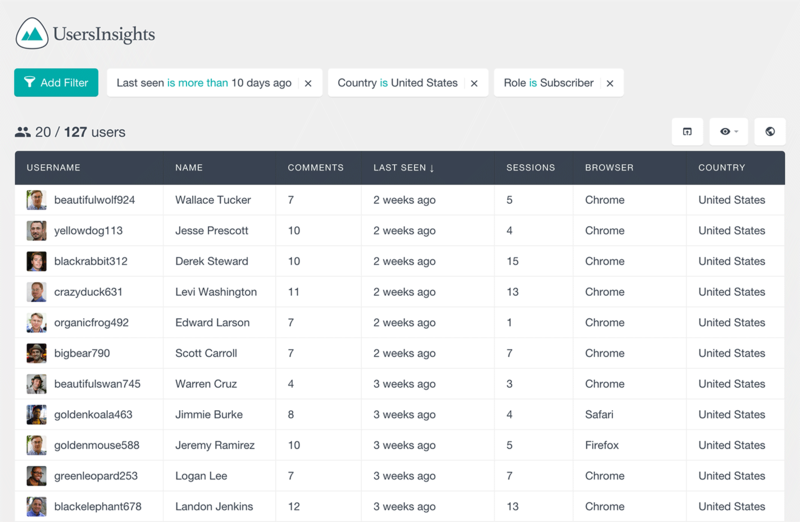 The first aspect you may want to look into is just tracking the most active users in your site. This will help you understand how good your user activity can be. This may also help you replicate what is special about these users. Therefore you can have more and more active users in your site. Along with user activity, you will certainly want to know which users are creating content in your WordPress site and what pages your users are visiting. This way you’ll know not only which users are visiting your site, but also which ones are most interacting with it. And the last aspect of this metric is measuring the opposite. How to find and email your inactive WordPress users. This way you can maybe recover some users who haven’t visited your site in a while. After all they must have registered for a reason, so there’s always ways to bring them back on board. Speaking about emailing your inactive users, actually there are many different ways to get in touch with them. Be it inactive or active users, it’s always good to get in touch with your users. So, we have two guides on how to do that using external tools. 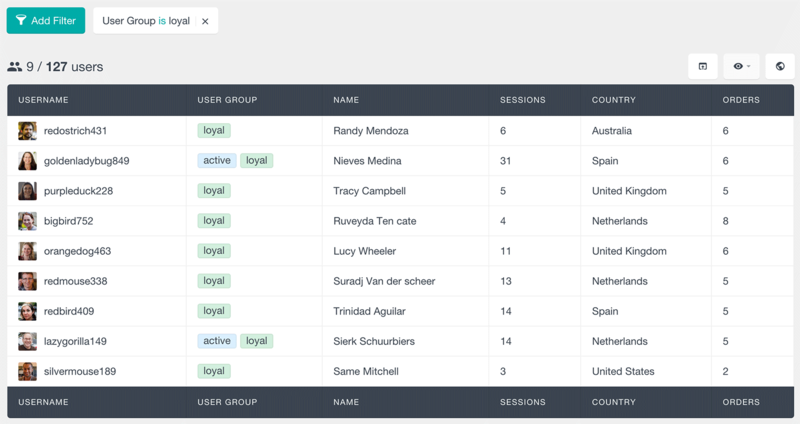 If you are a MailChimp user, you may want o look into How to import WordPress users into Mailchimp with Users Insights. This guide will help you export and import your users via CSV. In this way you’ll be ready to send a newsletter to your user list. You may be as well a Campaign Monitor user. If that’s the case, we have a different guide for you. How to import WordPress users to Campaign Monitor with Custom Fields. This guide shows not only the basic steps but also gives you some ideas on how to segment your list. Segmentation is really important so you can make the most out of your power, by being really relevant to a smaller audience. 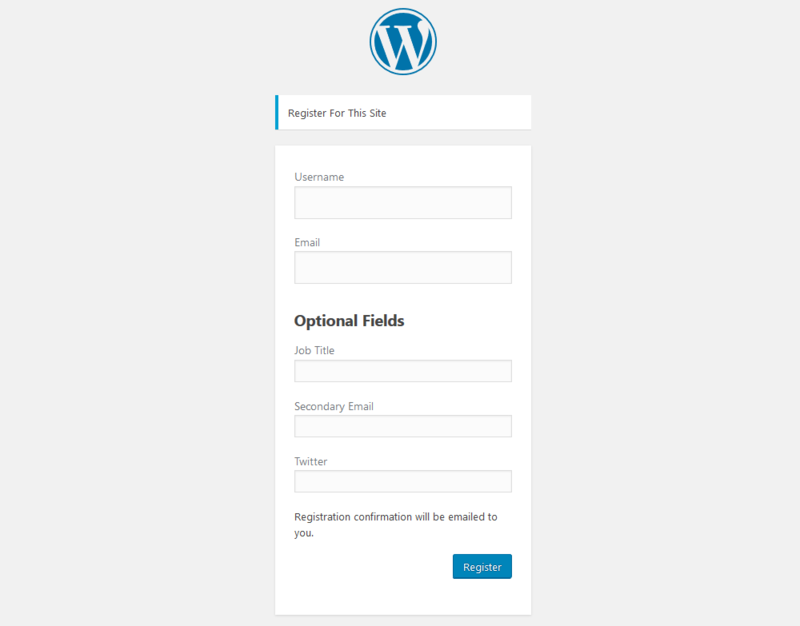 WordPress has a simple and straightforward user registration form. Usually all the info you get is the username, email and password. But maybe in your case it would be nice to collect more data about your users. If that sounds like you, you will certainly benefit from our guide on how to Create Custom User Profile Pages. There you’ll learn about the ACF plugin and what you can do in its free version. You’ll also see how to create a shortcode that could be used to turn any page into a custom profile page – with your own custom fields. Now if you are a ACF Pro user, we have another guide for you. With the Pro version you have some advanced features. One of them is adding custom fields to the WordPress register form directly. You can learn that in our ACF User Registration and Data Segmentation article. Sometimes you already have your user base in another platform and you are not using WordPress CRM yet. You may be migrating from a different CMS, or even from a CRM or another platform. In that case changing your user registration form won’t help you much. If that’s your case, then importing your users will be the best path. You can import a lot of data into WordPress, but importing users is a bit harder. That’s why we have created a guide on How to Import your WordPress Users from a CSV File. 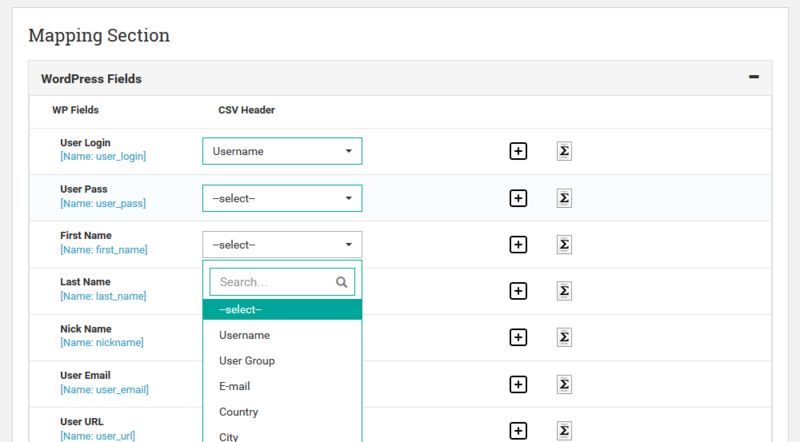 In this article you can see how you can use a plugin to correctly map a CSV file to create users and their custom fields. Once you have your users set up, it’s time to add some custom fields for them. The main purpose of the custom fields feature is to store and retrieve additional data about your users. The custom fields themselves can also be created by plugins. For example, once you install WooCoomerce, a lot of data is collected about your users. You might also use them to store some additional data about your users. In order to read this data using Users Insights, you need to tell it that you have some custom fields. This process is called mapping your custom fields. To learn how to export this data, you can check out our article How to export WordPress users with custom fields. In this article you’ll see the basics of exporting custom fields from different plugins. Today we looked into different articles and gathered different pieces of knowledge to create a user management system using WordPress. We saw how you can use not only Users Insights but also other plugins to perform different tasks with your user base. By the end of the day we expect you to be able to better manage and collect your user information, and we are sure this will help you in the decision making process. If you are using WooCommerce for your online store, be sure to also check out our WooCommerce Customer Management Guide. We hope you have enjoyed this article, and see you next time!